URBANATIX - “Welcome to the Machine” is a one of a kind, multi-dimensional show where 45 street artists and 6 international artists unfold their immense creative potential. Inspired by the industrial character of the location, the Jahrhunderthalle in Bochum – a massive gas power station of a steel mill, and a time when machines set the pace for the future and progress. 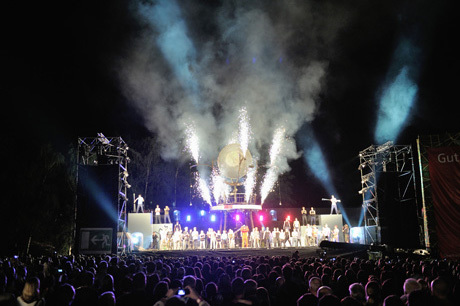 This is an exceptional performance, in which the pulse of the Machine is determined by traceurs, free runners, trickers, bikers, break-dancers and other international artists. 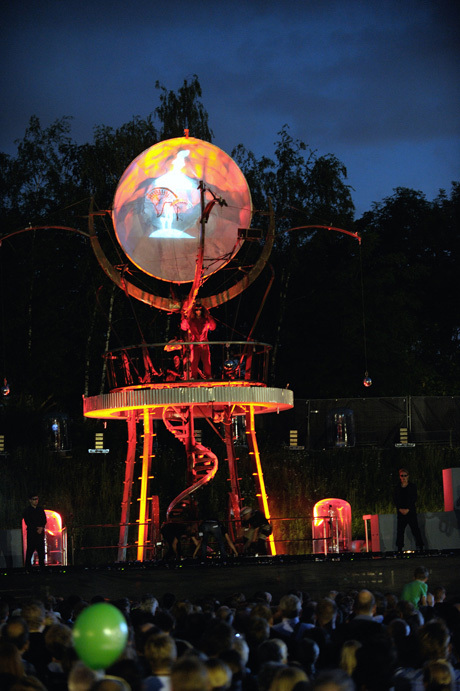 “Welcome to the Machine” features artists including: Eike von Stuckenbrok, with his huge leaps and incredible body control performs handstand equilibristics on a mannequin; Sarah Trägner, who defies the law of nature with her expressive and poetic dances over the rope. Trained at the National Ballet School and School of Artistry in Berlin and at the renowned French school “Centre National des Arts du Cirque”, her disciplines includes the slack wire, Chinese pole, handstand acrobatics, dance and improvisational theater; Helena Lehmann who performs the ‘Vertical Ballet’, which is a modern variant that combines feminine and sensual movements with modern dance elements and incredible acrobatic tricks, all done on an unusual artistic prop - a rotating pole; and the Battle Beasts who performs innovative hand-stand with incredibly high jumps, break dance and capoeira.